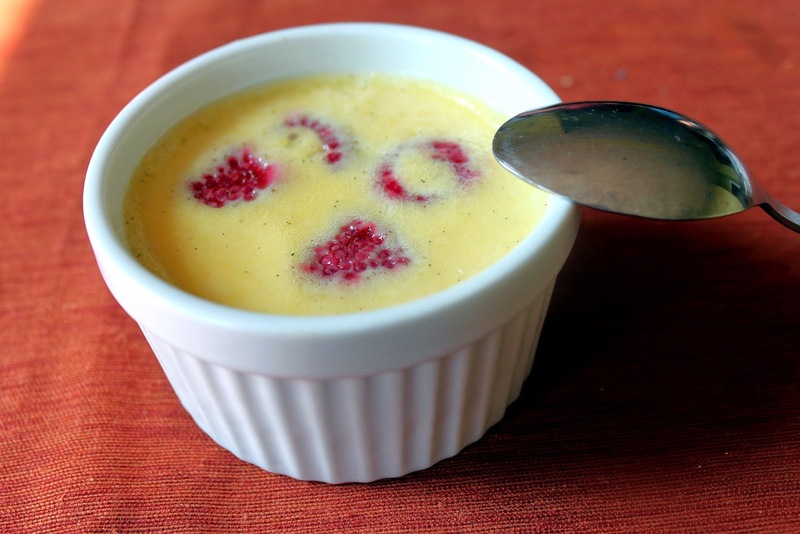 While on my raspberry binge, I stumbled upon this recipe and just had to try it. It sounded so good! Alas, I'm lactose intolerant, so I couldn't enjoy this as much as I liked, but my family definitely did. This made for such pretty pictures too. I'm not a big fan of alcohol, and now that I'm so into baking, whenever I see liquor, I think about it more in terms of incorporating it into desserts. I've never worked with Grand Marnier before, but it's wonderful. I can't wait to use it again. 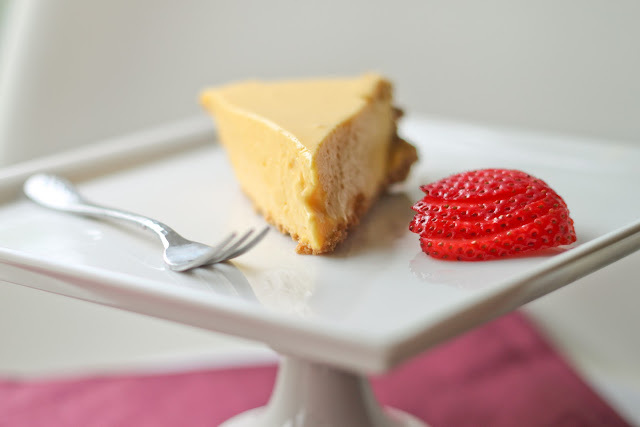 It's got a great subtle orange taste that works so well with vanilla custard. This serves only three, which was the perfect size, since I just made this on a lazy day at home. You can also make it in a giant pan but I liked using little bowls instead. I had 2 ramekins and a tart pan, so those worked out well for me. Preheat the oven to 300 degrees F. Mix the cream, milk, and vanilla in a saucepan until it just comes to a boil and then set aside. Place the eggs and sugar in a bowl and whisk well, adding the hot cream mixture, along with the liquor. Strain the mixture into the cups or dish you're using. Drop in the raspberries. Place the dishes into a water bath* and bake for 45 minutes or until just set. Let it sit out for a bit before serving. *I put the ramekins in a wide oven tray, and I filled the tray with some water. It helps to make sure the custard gets cooked evenly. Ooh, that looks delicious! I love custard! Although I'm somewhat lactose intolerant too so I can't eat a lot of it.